Stories of bullying and violence in schools are prevalent in the media today. The actions of those who intentionally inflict harm on others are troubling, and the outcomes are often tragic. Students who are socially isolated and bullied over a period of time may return to school to carry out acts of violence on campus, or they may commit self-harm or attempt suicide. Extreme cases are not to be ignored, but rather to prompt consideration of an underlying factor; the problem of social isolation. An isolated person might feel lonely and disconnected, yet social isolation is different than loneliness. Loneliness is a feeling whereas social isolation is a state of being. Social isolation occurs when a person has little interaction with others. A person can feel lonely in the midst of a crowd whereas a socially isolated person is separate from other people. Many students, from all backgrounds, experience social isolation. The source of social isolation can be internal: Introducing one’s self can feel awkward, and the fear of rejection often inhibits people from making new friends. For this reason, a “new kid” at school might experience social isolation. Secondly, a student may become withdrawn due to life challenges. For example, she is having family troubles and becomes withdrawn, or a relationship on which she has come to rely upon—such as a best friend or significant other—is no longer available for support and reassurance of her worth. Additionally, a student may perceive himself as “different” and, thus, have a hard time believing that others will value and accept him in light of these differences. In turn, the student seldom interacts with others; social isolation. The cause of social isolation can also be external: An individual with a distinctive physical appearance, disability, racial or ethnic background, gender identity, religious beliefs, or other factors might be singled out by their peers. 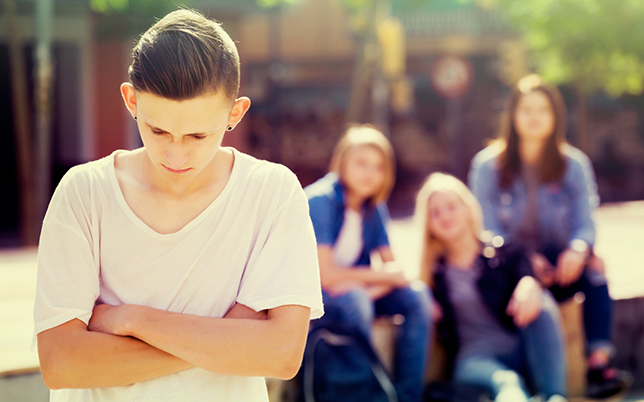 Instead of being accepted and included, students may refuse to associate with this individual for fear of what others might think—appearing “uncool.” In addition, lack of empathy and understanding may result in various forms of bullying and even discrimination. As if middle school and high school were not stressful enough, disconnected students feel like they do not have emotional support. They suffer in silence because they do not think that anyone would care to listen or help them in their time of need. Social relationships, particularly during adolescence, are significant to a young person’s self-concept and identity as well as overall health and well-being. Students that lack positive relationships or that experience negative peer interactions on a constant basis become distressed, disconnected and isolated. Research shows that children and teens that suffer chronic social isolation are more likely to have experience psychological, emotional and physical effects in the long term (Goosby et. al. 2013). On the other hand, students that have healthy relationships are less likely to engage in conflict and risky behaviors (Telzer et. al, 2015). Since students spend the majority of their days in school, their relationships with fellow students play a major role in how they feel about themselves and how well they thrive–mentally, emotionally, academically and even physically. How a student feels about their school environment strongly relates to student culture. Are social groups in your school generally inclusive or exclusive? Are students in your school generally friendly and welcoming of newcomers or unreceptive and even hostile? Are students with unique traits or “differences” accepted by their peers and treated with dignity, or are these students rejected and bullied? A positive school climate is key to reduce social isolation. Teachers can contribute to a positive school climate by making the classroom an environment in which every student feels safe. Teachers can also reach out to students that show signs of distress, but meaningful change in school climate and culture starts with students. Students have a responsibility to reduce social isolation among their peers, and by reducing social isolation, students may also help to prevent bullying and violence. Moreover, since schools are key components of the community, students that transform their schools have the potential to impact their local neighborhoods for good. Lunchtime is the primary social period during the school day, but students who feel like they are on the fringes often look upon this agonizing hour with dread. The school environment can contribute to this problem or aid in the solution. Physical Environment: Students that are socially isolated may find a lonely, secluded place during lunch time to evade bullying or to avoid seeing student groups enjoy their friendships at lunch as the sight may emphasize feelings of disconnection and loneliness. However, when students hide away, they continue to go unnoticed—which can worsen the problem of social isolation. Conversely, students can seek and find these individuals that sit in solitary places, and then extend an invitation for lunchtime company or to participate in student-led activities and clubs. Social Environment: Students that feel like they are “on the outside looking in” may feel too intimidated to approach a close-knit group of friends. On the other hand, a group of friends can keep an eye out for students that are on the fringes and welcome isolated individuals into their group. Reaching out to someone new requires students to step outside of their comfort zone. 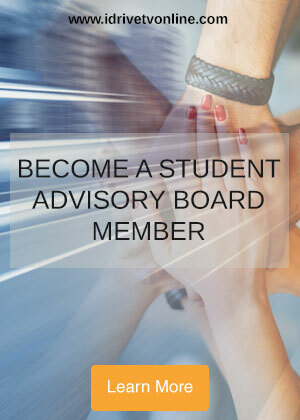 Initially, this idea may give students pause as they do not want to feel socially awkward. Therefore, lunchtime events are helpful tools that students can use to break the ice. Initiatives such as No One Eats Alone Day empowers students to take ownership of their school culture and promote a sense of connection and belonging on campus. In other words, simple gestures can have significant results. Acts of kindness can be as easy as asking, “How are you?” accompanied by empathy and listening ears. Changing school culture can be a matter of saying to students at lunch, “You can sit with us” instead of “This seat is taken.” When students, recognize fellow classmates on the fringes and open up their social circles—or seat at the lunch table—they not only brighten someone’s day, they might even save a life. Of course, No One Eats Alone Day is just the spark. Real change takes place when students, like you, continue to transform your school by daily treating all students with dignity and respect, and by reaching out to those who are on the fringes. The No One Eats Alone movement started in 2012 with Beyond Differences and a handful of middle school students. In 2018, students in over 2,000 schools across the nation are hosting lunchtime events to transform their campus into a welcoming place! Are you reading this article, but you’re not yet an iDrive Agent? Sign up here.